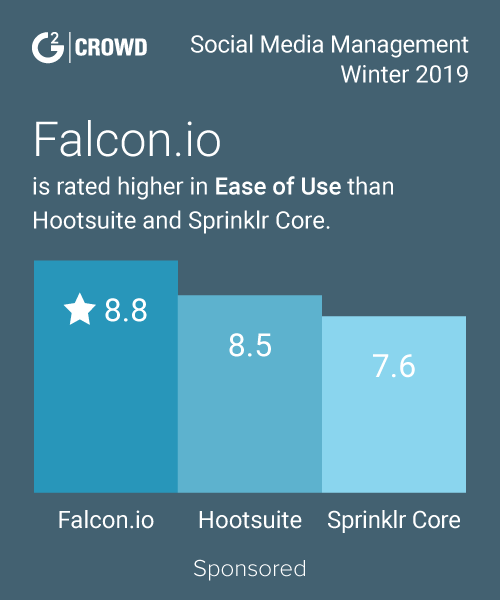 "Review for Twitter management website"
It is very easy for me to do the follows and unfollows for my account as well as my clients' accounts using ManageFlitter. It is quite smooth and fast as well. There are many glitches with the website and when complained they take a long time to reply. The customer care also give generic replies like have you logged out and logged back in. Absolutely go for it! If you need help with managing Twitter for yourself or for your clients it is the ideal product. I get paid to manage accounts for clients who have a Twitter account and want to grow their following so I use Manage Flitter to do that. It has given me several financial benefits over a couple of months. Manageflitter Twitter management software provides a complete tool to manage and promote your business strategies on tiwtter. PowerPost features gives assurance that your tweets are well seen by your twitter followers. ManageFlitter have very string Account Analytics feature that provide in-depth analytics for the Twitter activities of their users. There are several limits imposed by ManageFlitter team to prevent the software from getting abused , it will take time for you to live within the limitations and easily use the applications. If you want to grower your twitter subscriber base with better follower interaction , you should try this awesome twitter marketing software. If you are looking to keep your twitter followers , you should go with this ManageFlitter regimen on a daily basis. I have increased my follwer base and strengthen our social media interaction using ManageFlitter on daily basis. "Easily Target your twitter audience using ManageFlitter"
I am wondering too see not much review about Manageflitter here. Manageflitter has the ability to manage the followers and whom i followed across many social accounts.Power Mode gives an exhaustive number of filters on your Twitter search (over 25 filters), such as influence, follower:following ratio. Knowing who to follow or not is something that I would have to manually scrape from my Twitter accounts. Their free account is so poor, just 20 unfollow per day.Sometimes the site is down and does not let you unfollow. If you are looking for a software to follow , unfollow in a well targeted , time saving manner , manageflitter is preferable . We are managing our twitter account using Manageflitter software. "Great Twitter tool - hands down!" Can't pick one thing, there are so many good tools. Love all the information that it gives on followers so I can dive deep for each individual client. This was a game changer for me (when it comes to organic growth). It has been a very valuable tool for management of all client accounts, and has certainly contributed to their account growth. I don't think I have used it enough to say that. It's been serving me well all around at this point. This is an amazing tool! If you are trying to do organic growth you need this. It's amazing and will be a vital tool that saves your marketing team time and energy. Give it a try, you won't be sorry. Organic Twitter growth and weeding out fake profiles. It's been amazing at helping me to determine which accounts are inactive, which is a big determining factor as to whether I continue to follow. "GREAT tool but lacks stability"
The options for searching and targeting the right twitter following is limitless on Manage Flitter. The tool is incredible at helping you build your Twitter following and creating your tribe. In 2016 I've seen a decline in the stability of Mange Flitter. The software contains a lot of bugs and they are constantly running "maintenance" updates. Since we use a paid version of Manage Flitter, this can be rather frustrating since there have been days when the whole system is down. Growing a Twitter following from scratch can be rather challenging. We were looking for a tool that would help us grow our audience quickly and also find the RIGHT audience. Manage Flitter helped us target other organizations that are similar to ours and target their followers. Because of this, we are quickly gaining a voice with Twitter followers who already have an interest in what we do. It is great to unfollow/follow users at a quick rate. Also easy to navigate and read. You don't have to worry too much about the system and its uses. There are a lot of limits that you'll have to go through to access the full website. Can be hard to get used to at first but with time, it does get easier to process and use. Highly recommend testing it out - at least it's free and simple to use. The biggest benefit is getting rid of unwanted Twitter users that aren't following you if you followed them. It's also a free tool to observe your followers in more detail in a quick fashion. Don't have to worry too much about managing followers from the native Twitter app. It's useful to just go to Manageflitter. "Had Great Success Identifying My Twitter Audience & Categorize Into Groups"
This tool is essentially free to utilize on the internet and does a great job of showing data in real time. From hovering my mouse over a certain user, I can automatically see what their follower/following ratio is, whether they're a popular or verified account, and if they're active users or dormant. This helped me clear up my follower/following ratio greatly. Specifically helping me identify Twitter users who were not following me back...I could narrow it down from there and see who is verified, popular and ultimately...least engaged. I am a huge fan of this tool. The filtering system for this tool can be a bit tricky to navigate, as it's not as intuitive as it visually appears to be. I had to be careful a few times to not unfollow people who were already following me back, simply because I was confused on how the filtering of users system worked on this site. I could also do without the pop-ups that come to light in the top center of the page once logged in and connected to my Twitter account. I would recommend this tool to others who are laser focused on increasing their KLOUT score (social media impact based on what their audience does to the content a brand shares). So this means that such things as favorites, retweets and mentions are very critical in engagement. If pulling data or extracting into an Excel file from ManageFlitter were possible....I think that'd be a great idea. That way a user can take the raw data and manipulate it to show what they need to see. Data always tells a story. The goal is to always have a healthy conversion on Twitter based on followers/following. If you are following less than the amount of people who are following you, then you are safe to "follow" about 2001 users. If the scenario were opposite, a Twitter user is capped at following 2001 users until their ratio equals out and their followers number becomes the larger of the two. This ManageFlitter tool has helped me identify my audience into groups of inactive, verified, popular, engaging and least engaging so I can make informed decisions when decision who to unfollow. "I use ManageFlitter every single day"
I love being able to mass unfollow---people I'm Following that are not Following me back; foreign accounts; spam; and inactive accounts. I often hit my Follower ratio and being able to mass delete unwanted accounts allows me to get my ratio back in order. Unfortunately, Twitter decided they didn't like the one-click mass unfollow; so now you have to manually click each account you want to Unfollow. That said, I can click super-fast and it doesn't take me THAT much longer. If you are truly trying to grow your Followers, you must stick with this ManageFlitter regimen on a daily basis. I've grown a large Following by just sticking with it on a daily--at least weekly--basis. Being able to manage my Follower ratio helps me build a large following faster. It's great! I love to pre-post my Tweets a week in advance and never worry about them. I enjoy to un-follow and follow the accounts that I want based off of the factors that work and do not work for my network. The tool also gives analytics support and lets you see how your Tweets are doing and much more. The monthly $12 is a great value to pay for something that gives you a peace of mind in the end. You get to quickly see followers who are spammers, fake ones, etc. Flitter will also notify you if you are getting close to adding more accounts that allowed on Twitter per daily add-ons right away if you are doing things in bulk. In short, this is a no-brainer system that works well, easy to manage and you choose how many features you need to use. not much really. Batch select gets a bit pricy when you don't want to un-follow hundreds of people at once, but you can also click things manually and it literally takes minutes. If you are using Twitter as your main social media build up then it is the best tool to use in my opinion. It's easy, there is no headache and their customer support is very good too. Manage Flitter helps to simplify things on Twitter. I don't know what I would do without it. I like the way that you can 'clean' your twitter account. It shows different categories as 'don't following back' or 'inactive', etc and you just have to click the unfollow button of each account. Free account is really poor, just 100 unfollow per day and many of their options disables. Register in a pro account 'cause if you're a free user, you cannot manage your account properly at all. I've grow my personal brand account really fast, and get influence in my professional area. Ability to find exact target of users I am looking for, including whether I've reached out to them before. Many products can help you maintain connections, clean up followers and following. ManageFlitter will allow you to automate the drudgery and focus on the personal connections that make networking work best. "Versatile, powerful Twitter tool for lead gen, market research, and more." Simple interface full of deep tools, including the "Unfollow" tool to sort through people you follow on Twitter in about a dozen ways. The "Follow" tool helps you find users based on things you specify, such as "Users Who Follow @____". Power Mode gives an exhaustive number of filters on your Twitter search (over 25 filters), such as influence, follower:following ratio, how often they tweet, keywords in bio, latest tweet, etc. PowerPost is a beautiful tweet scheduling tool, and gives the deepest analytics I've ever seen on the short-URLs they provide. @Inbox feature turns your mentions into an email-like interface. You can also track tweets and keywords, click on the graph once the data's pulled up, and see the individual tweets, or tweet clusters. Google+ Sync allows your Google+ posts to be delivered as Tweets automatically. Also the developers are hilarious and awesome - since Twitter made the change so that you now have to manually click every action you do via 3rd-party apps (such as follow, unfollow, or block), it's gotten time-consuming to do that. ManageFlitter's team not only built a simple interface for executing hundreds of those clicks as fast as possible, they also have a video player of documentary footage, like nature or space documentaries... Classy. I will never find a better-built, more comprehensive tool for Twitter. At least, it will take a long time. If you have clients who want to use it for theirs, you can still add their Twitter account to your account and set it under a group (if you have a Business account), then they can log in with their Twitter account and only see that account. It's difficult to say - perhaps that not enough people know about it. Get in touch with the team. I did - and ended up developing a great relationship with them. 1. Lead generation. Finding qualified leads on Twitter and contacting them. 2. Market research. Quickly see how many people on Twitter have a keyword in their bio, or in a Tweet in the last 7 days. 3. Managing my Twitter account. Following more people, unfollowing people who don't follow back. 4. Posting content and getting deep insight with PowerPost. 5. Managing replies via the @Inbox feature. 6. Searching within my followers for certain keywords via the "Search Your Account" feature. 7. Emailing reports of Twitter account stats for my clients. "Helps me save time acutally managing my social media"
I like how you can see quickly who follows or doesnt follow you. Its something I would otherwise be curious about, but maybe unwilling to manually extract the data from scraping my social media. I wish that I could see more about the person inside of ManageFlitter than having to link to their Twitter accounts. Just would be one more shortcut. Knowing who to follow or not is something that I would have to manually scrape from my social media (twitter) accounts. "ManageFlitter is a big part of my tactics. " Manageflitter is a bug part of any social marketing strategy I create. It not only allows me to grow a Twitter follower much faster, but allows me to find influencers and users within my target demos within minutes. I've had great success doing Kickstarter campaings, business launch and general awareness campaigns for musicians with manageFlitter. It also allows me to dig into the more niche areas of my target demos whether it's geo location or if they're an influencer within a space. The frequent maintenance issues and system being down if I search for different keywords or follower counts. Being able to identify potential influencers within geo locations. Power post works well. Makes unfollowing easy. Reusable Posts are great! I wish that it was a bit easier to find influencers in my industry. It helps us schedule Tweets and manage following and unfollowing. "Makes social media simple to use"
I like that I can filter out exactly what I'm looking for for my social media pages like Twitter. I loved how it tracked who unfollowed me, who followed me, and that I could favorite things through the App. Very user friendly and simple. I dislike that when I did use it, it was only for twitter and in order to get more out of it I had to upgrade but that's not a big deal. I realized that the efficiency of tracking followers and gaining followers became easier and the people were actually the target market that I was aiming for in order to gain attendees for a social media panel in Chicago. "Nice little Twitter management tool"
If you need to just manage Twitter accounts, here's a ton you can do with ManageFlitter: manage unfollows, schedule posts and get basic insights (e.g. best time to post). The free version of the app gives you a lot, so there isn't much to dislike about that. Good for basic management and analytics, seeing who's not following you back and more. You'll get a bit with the free version, but won't be able to do some of the extras, such as manage multiple accounts, etc. ManageFlitter seems to have been in the initial batch of Twitter management tools. The ability to mange the followers and who i followed across many social accounts. I think we rotated 50 key accounts in and out for maintenance. Relying on automated tools. I also didn't need depth i need unlimited accounts. Great for managing key accounts. Weekly usage on removing inactive social followers. Help me run spam free accounts. Content curatation for multiple accounts. Balance follower to following ratios on key accounts. * We monitor all ManageFlitter reviews to prevent fraudulent reviews and keep review quality high. We do not post reviews by company employees or direct competitors. Validated reviews require the user to submit a screenshot of the product containing their user ID, in order to verify a user is an actual user of the product. Hi there! Are you looking to implement a solution like ManageFlitter?